Of all the Holiday-themed songs ever produced, “The Little Drummer Boy”, written by Katherine Kennicott Davis in 1941, is my all-time favorite. Though cCovered by artists ranging from Bing Crosby to Jimi Hendrix, the best version of the tune was recorded in 1958 by the Harry Simone Chorale, a rendition that rose as high as #13 on the Billboard Hot 100 Singles Chart. So popular is this particular Christmas song that it inspired a Rankin / Bass stop-motion animation special, 1968’s The Little Drummer Boy, which, over the years, would become a Holiday tradition in its own right. Set in biblical times, The Little Drummer Boy introduces us to Aaron (Ted Eccles), an orphan whose parents were murdered by thieves. Since their deaths, Aaron has wandered the desert with his three best friends: Joshua the camel, Samson the donkey, and Babba the sheep, who dance as he plays his beloved drum. Hoping to add the talented youngster to his circus troupe, showman Ben Haramad (Jose Ferrer) kidnaps Aaron and forces him to perform in front of large crowds in Jerusalem, despite the fact the boy, still bitter over his parents’ untimely death, harbors a deep hatred for all human beings. During their travels, Ban Haramad and Aaron come across a caravan of three kings (all voiced by Paul Frees), who are following a bright star in the sky that they believe will lead them to a king more powerful than any other on earth. To make some fast money, Ben Haramad sells Aaron’s camel, Joshua, to the three kings. In an attempt to reclaim him, the boy tracks the trio of sovereigns to the small town of Bethlehem, where they ultimately find the “King” they’ve been looking for. Narrated by Greer Garson, The Little Drummer Boy is an unusual entry in Rankin / Bass’s canon of Holiday specials in that it presents a religious-themed story and not a straight-up fantasy, a la Rudolph the Red-Nosed Reindeer or The Year Without a Santa Claus (I admit it was a bit odd watching characters walk around in a desert as opposed to a snowy landscape). 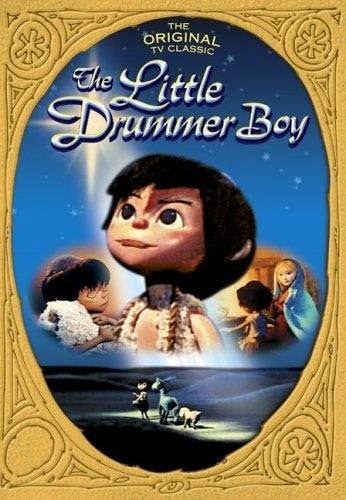 On a technical level, the animation in The Little Drummer Boy isn’t as fluid or inspired as some of the duo’s other films, but the fine work of its voice cast (Garson, Eccles, and Ferrer, as well as regulars Paul Frees and June Foray) more than make up for its visual deficiencies. Most impressive of all, though, is the movie’s title song, performed throughout by the Vienna Boys Choir, which delivers as good a version of the tune as any I’ve heard before. While not as time-honored as Rudolph the Red-Nosed Reindeer, Rankin / Bass’s The Little Drummer Boy tells a story unlike any they ever attempted, delivering a message of love and forgiveness most families will undoubtedly embrace.